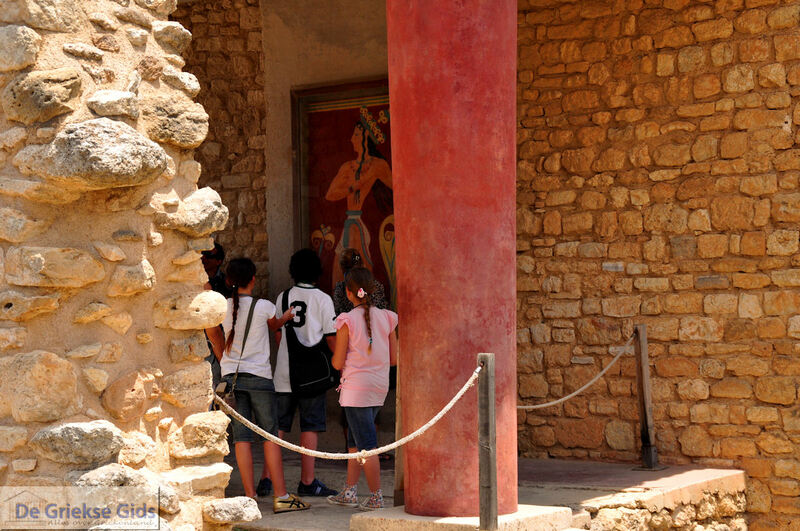 KNOSSOS. 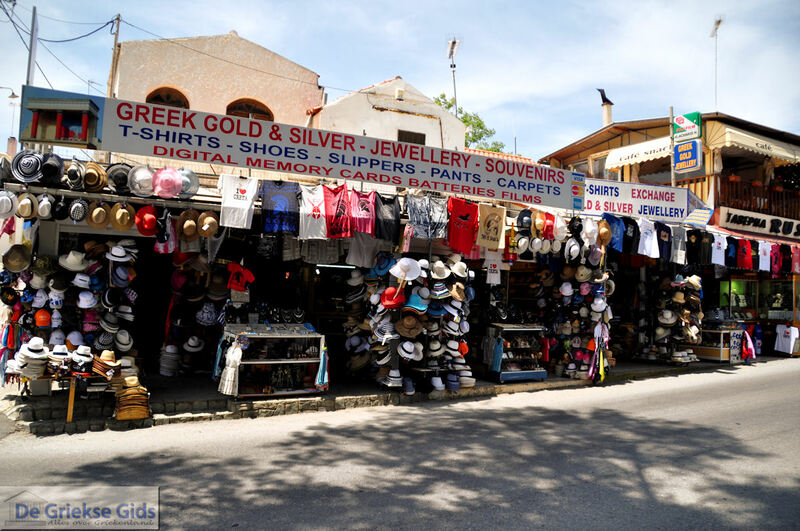 The famous ancient capital of Minoan Crete, is located five kilometres south of Heraklion. 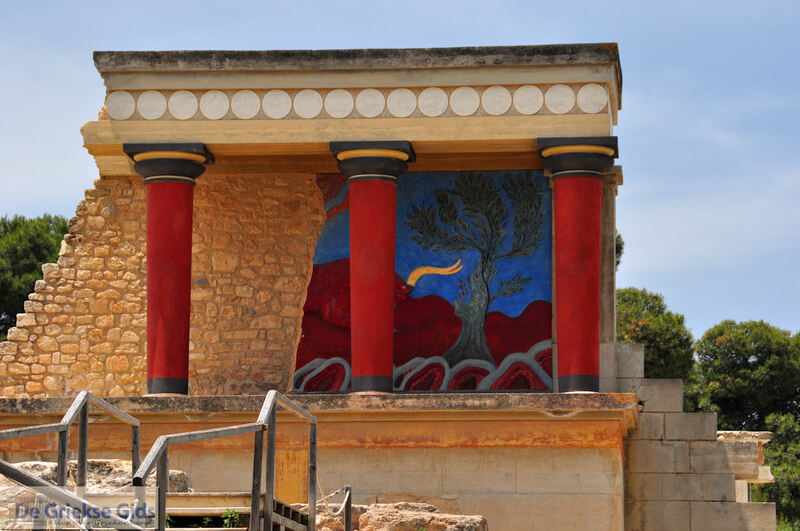 For ten centuries Knossos was the first and largest city in Greece and throughout Europe. 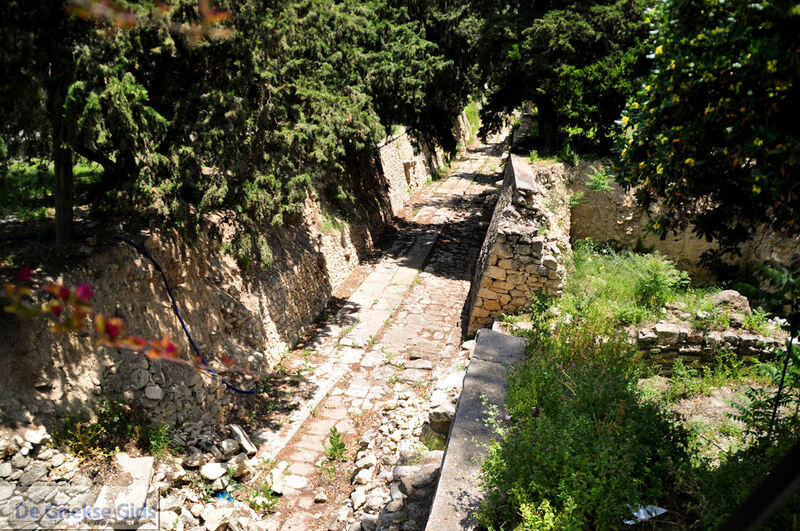 Now there are the magnificent remains of the great palace of King Minos, the villas, the theatre, large jars and graves. Around 6000 BC people lived here quite organised for the first time. 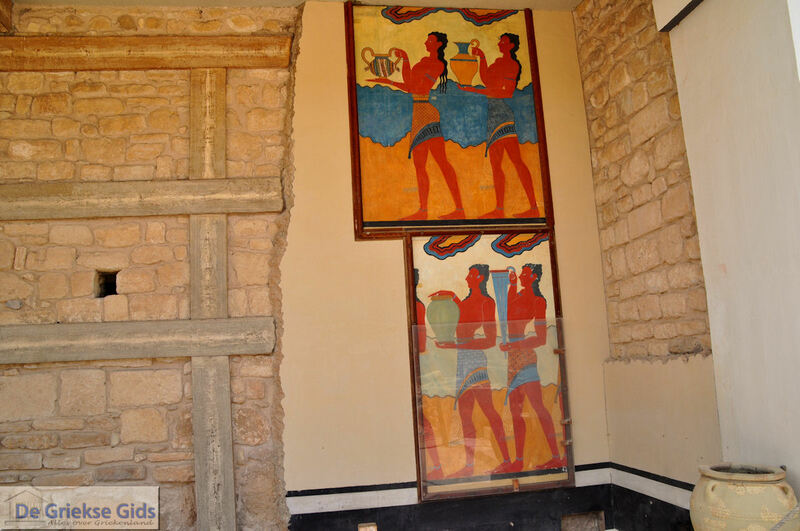 The reconstructions carried out by excavator Evans give visitors an insight into the structure of such a Minoan palace complex. Crete is the portal through which the very ancient civilizations of the Middle East, entered Europe. This civilization reached a peak under King Minos. 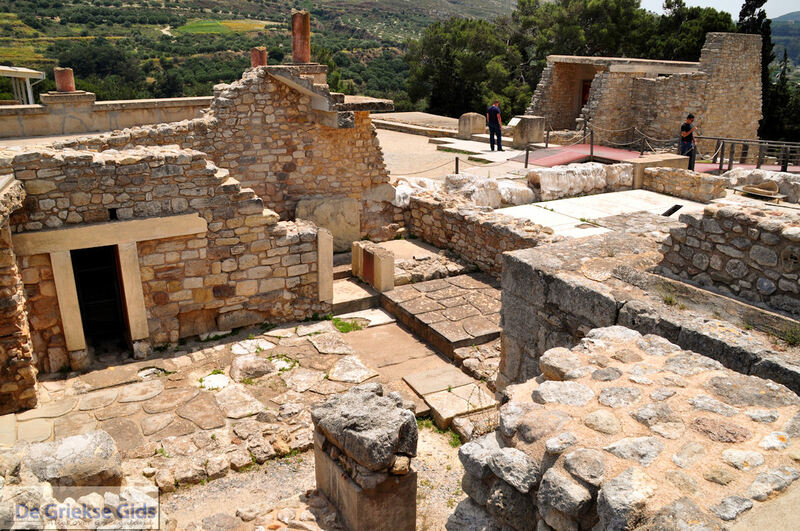 Crete has had enormous growth in the Minoan period, it would have had the height of prosperity between 3000 and 1000 BC. From 3000 to 1000 BC also strains many myths. For example, how the king's son Theseus conquered and killed the monster Minotaur, half bull half man, who lived in the labyrinth of Minos. Evans, the renowned British archaeologist, was sure that there had to be some truth in the incredible stories from the Minoan era on Crete. 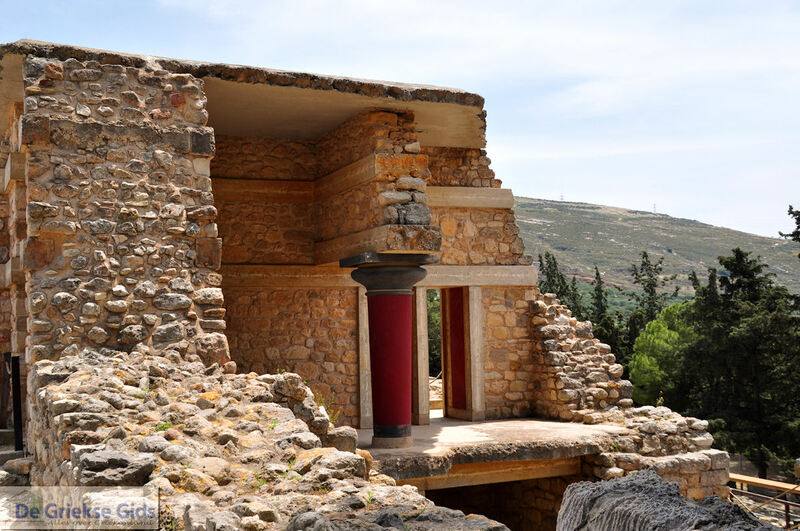 Just south of the capital Heraklion were found the remains of a colossal palace: Knossos. Evans has made ​​it his life's work to find out who those people were, who had such technical ingenuity in antiquity, to create such awesome buildings. About 25 years he has been on the spot to dig and investigate. He then rebuilt the enormous palace on the ruins, as he imagined it would have been. 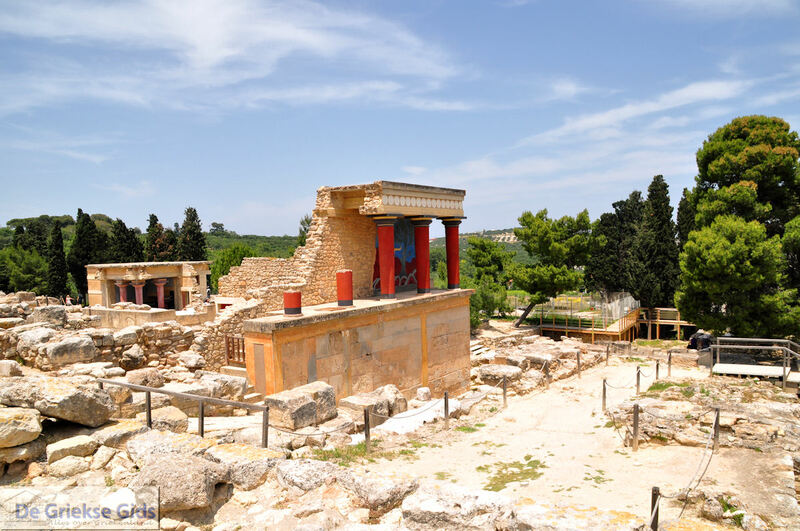 The beautiful and big Minoan palaces on Crete are all destroyed, according to the scientists, this happened because of a terrible eruption of the volcano in Thira, Santorini nearly 150 kilometres north of Crete. That eruption took place in about 1500 BC. and was accompanied by devastating earthquakes and unprecedented high tidal waves. Before that time, and since then, a natural disaster with such destructive force has never again occurred in the world. 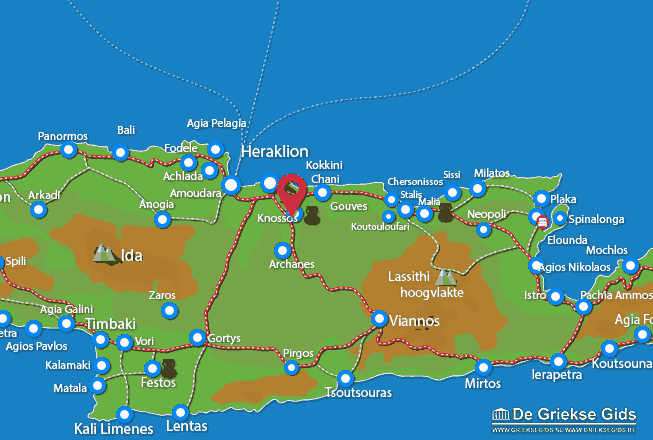 Heraklion Prefecture: Where on the map is Knossos located?